This spacious Brooklyn Heights one bedroom presents a fantastic opportunity to create a supremely elegant home. This lovely unit features an entrance foyer, large living room, eat in kitchen and a full sized bedroom. The apartment has a comfortable layout with well proportioned rooms and high ceilings. 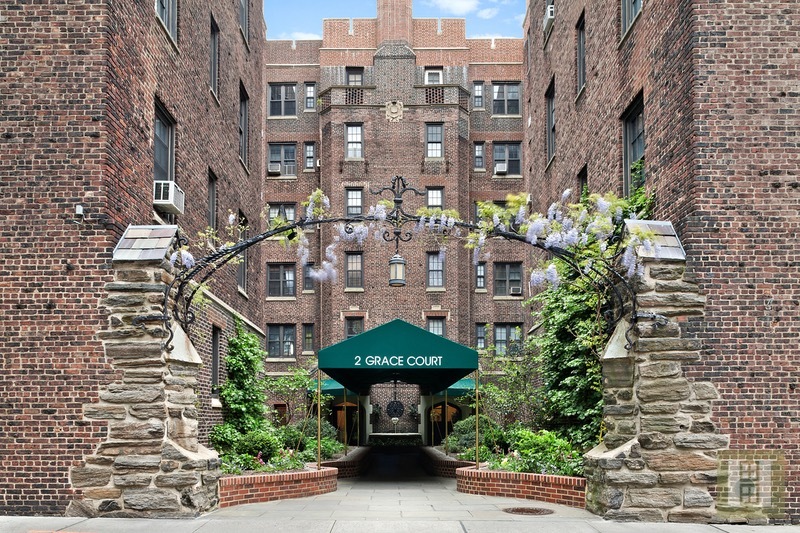 2 Grace Court is a coveted building with a part-time doorman and live-in superintendent. Other amenities in the cooperatively owned building include a new laundry room with commercial grade appliances, a bike room and common roof deck with sweeping views of the Manhattan Skyline, New York Harbor and Brooklyn. There is also a communal garden to grow your fruits and vegetables in the warmer months. Grace Court is a serene, tree lined cul-a-sac is one of Brooklyn Heights' most beautiful and desirable blocks. Located nearby are the Brooklyn Bridge Park, Heights Promenade and neighborhood shops & restaurants. Easy subway access to the 2, 3, 4, 5, A, C, and R trains. The building is pet friendly. No investors please - owner must occupy. The Best of Brooklyn - Welcome Home.